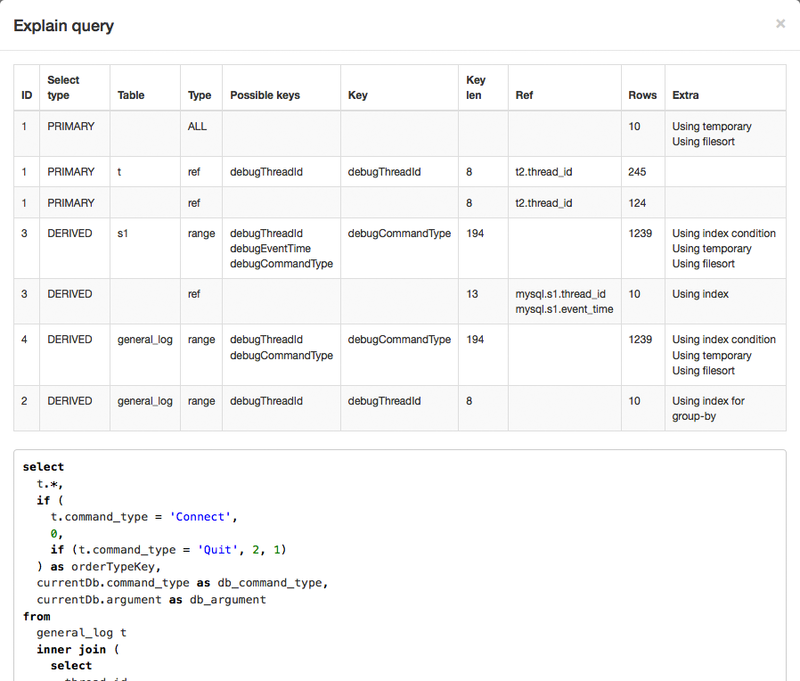 This is a log viewer for MySQL queries. 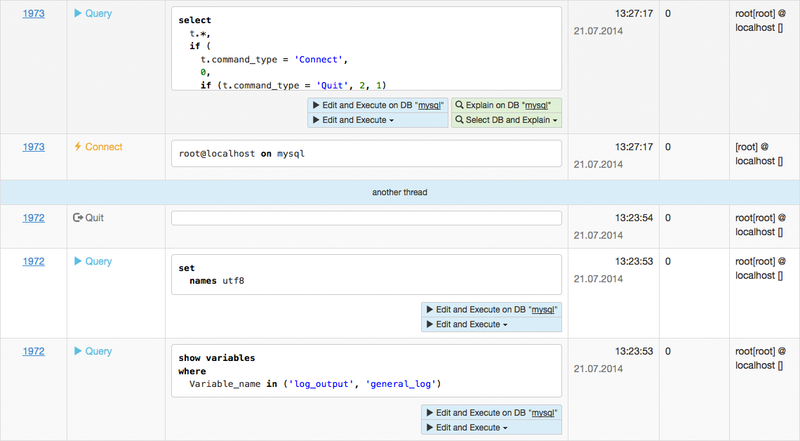 It turns on query logging in MySQL and display it in nice Web interface with formatting and syntax highlighting. # Why could it be useful? It can help find a bug, since very often SQL query is compiled by external library (for example ActiveRecord) and we don't know exactly, which SQL query is executed. 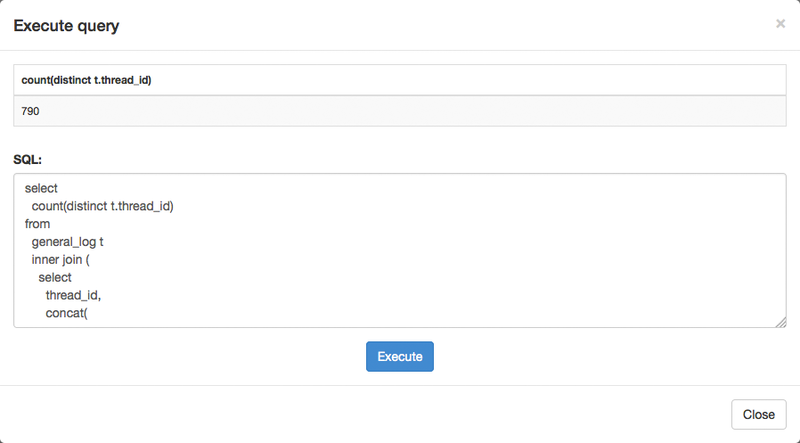 It can help to optimize your application - see how many queries and which are executed.